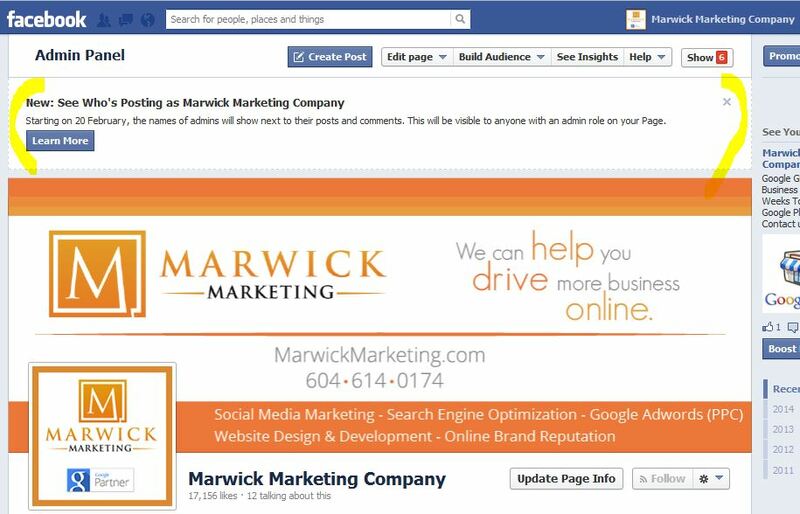 If your Facebook business page is managed by a few different admins you will soon start to notice their name appear next to posts made by them on your page. This will only count on all future posts as of February 20, 2014. This feature isn’t available to everyone right now. So now is a good time to review ALL the admins on your page. If you’ve hired someone in the past or if you have a past member of staff you should look to remove them.